A key Republican senator -- from the south -- has authored an appropriations bill that would not bar DC from allowing marijuana sales, longtime MPP head Rob Kampia steps down, Denver bans kratom sales, and more. GOP Senator's Bill Would Let DC Legalize Marijuana Sales. Sen. Thad Cochran (R-MS), chairman of the Senate Appropriations Committee, has authored a District of Columbia appropriations bill that does not contain a budget rider barring the city from spending its own money to set up a system to tax and regulate marijuana sales. Although DC voters approved legalization in 2014, they did not legalize sales because DC law does not allow initiatives to address tax and funding issues. The DC council was expected to enact laws allowing for sales, but has been blocked by congressional riders in DC appropriations bills. But the House has already passed an appropriations bill that contains the rider, so even if the Senate bill passes, it will have to be sorted out in conference committee. 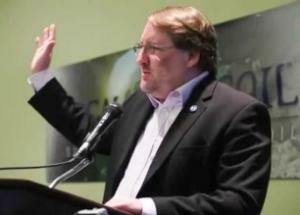 Kampia Out as Marijuana Policy Project Executive Director, Will Take Up Fundraising Role. MPP cofounder and long-time executive director Rob Kampia is leaving that role, but will remain with the organization as director of strategic development. He is being replaced on an interim basis by Matthew Schweich, who joined the group as director of state campaigns in 2015, while the MPP and MPP Foundation boards seek a permanent replacement. "This transition has been considered carefully by Rob and the board. We desired to shift Rob's workload one year ago after his intense work on the Nevada and Arizona campaigns," said Troy Dayton, who sits on the boards of directors for MPP and MPP Foundation. "Shortly after Election Day, Rob quickly shifted gears in December to start the Michigan 2018 legalization campaign. With the Michigan signature drive now complete, it is the right time to shift Rob's focus to new and bigger projects." New Jersey Legislative Black Caucus Chair Skeptical on Legalization, Will Hold Hearings on "Negative Consequences." State Sen. Ronald Rice (D-Essex), head of the Legislative Black Caucus, announced Monday that he will hold hearings on the negative consequences of marijuana legalization in states that have already legalized it. "We know there are negative factors that we will need to safeguard against, from children's access to marijuana-infused edibles to motor vehicle accidents caused by impaired driving to the effect of marijuana on babies and the impact of legalization on communities of color," he said in a statement. "As chair of the Legislative Black Caucus, I plan to convene hearings at various locations around the state to make sure that we really delve into the details of this issue," Rice said. Incoming Gov. Phil Murphy (D) has said he supports legalization, and a bill to do that is alive in the legislature. Denver Bans Kratom Sales. Denver Environmental Health announced Monday that it has banned the sale of kratom within the city. The move comes days after the Food & Drug Administration issued a public health advisory against consumption of the herb, which works on the body's opioid receptors and has been popular as a pain reliever and for people attempting to wean themselves from opioids. The ban is not complete, however: The herb may still be sold for non-consumptive uses, such as aromatherapy or soap making, as long as it bears a warning label that it is not intended for human consumption. Philippines Supreme Court Hears Case Challenging Drug War. The Supreme Court began hearing oral arguments Monday in a case challenging the Philippines National Police's anti-drug operations that have resulted in the deaths of thousands of drug suspects. Attorneys challenging the campaign accuse the police of violating numerous rights guaranteed under national law, including human and privacy rights. Coming in for close scrutiny was a PNP policy that allowed police to go house to house for searches and to build cases against anyone who refused to allow them warrantless entry. Lawyers also accused PNP polices of expressly authorizes police to kill drug suspects. Oral arguments will continue next week. Michigan Democratic gubernatorial candidates get behind legal weed, a New Hampshire House committee doesn't, Arizona gets sued over high medical marijuana permit fees, the kratom wars heat up, and more. Michigan Democratic Gubernatorial Candidates Support Marijuana Legalization. Four leading Democratic contenders for the gubernatorial nomination are supporting marijuana legalization, and so is one little-known Republican candidate. "We've seen other states do it wrong. In Michigan, we've got a chance to do it right," said former state Senate Minority Leader Gretchen Whitmer on Tuesday night in a candidate forum hosted by MI Legalize. That is the group behind the legalization initiative campaign set to hand in signatures next week. Other Democratic contenders including Abdul El-Sayed and Bill Cobb are also embracing legalization. Republican front runner Attorney General Bill Schuette, who has been an ardent foe of medical marijuana, has so far avoided commenting on legalization. New Hampshire House Committee Rejects Marijuana Legalization Bill. The House Criminal Justice and Public Safety Committee voted to kill House Bill 656, which would have legalized marijuana, after members expressed concerns about conflicts with federal law and the desirability of legalizing it in a state in the throes of an opioid crisis. But despite the committee vote, the bill is not necessarily dead: In recent years, the full House has repeatedly overturned the committee's recommendations and passed marijuana reform bills. Vermont Marijuana Task Force Has Second Meeting. Gov. Phil Scott's Marijuana Advisory Commission met for the second time Wednesday, concentrating on the impact of legalization on highway safety. The commission heard a report from Department of Public Safety Commissioner Thomas Anderson. "When you have increased use of marijuana or legalization of marijuana, you're gonna see more fatalities on your roadways. I think the data does support that, and I know there are different views on that, but I would feel comfortable taking that to a jury and trying to convince them of that," said Anderson. The commission must finalize its recommendations by January 15. Arizona Sued Over Patient Fees. A Phoenix attorney has asked the state Court of Appeals to force health officials to cut the $150 fee patients need to get a state-issued permit to use medical marijuana. Attorney Sean Berberian said the fee is illegally high, is far more than needed to finance the administration of the medical marijuana law, and is designed to divert patients away from applying to use medical marijuana. FDA Issues Warning on Kratom, Advocates Reject It. Food and Drug Administration Commissioner Scott Gottlieb issued a public health advisory on kratom Tuesday, saying the herb was linked to 36 deaths and calling its use as an opioid substitute "extremely concerning." But on Wednesday, the American Kratom Association pushed back, calling on the FDA to rescind the advisory because it relied on "discredited, incomplete, and mischaracterized scientific claims." The DEA moved to emergency ban kratom a year ago, but backed down in the face of loud opposition. The FDA alert could suggest that efforts to crackdown could be coming soon. The long slog toward marijuana law reform continues in New Hampshire and Vermont, a Maine bill would ban kratom, Tom Marino is reportedly out as drug czar, and more. New Hampshire Decriminalization Bill Advances. After years of rejecting marijuana law reforms, the state Senate is advancing a decriminalization bill. The Senate Judiciary Committee on Tuesday approved House Bill 640 on a 3-2 vote. 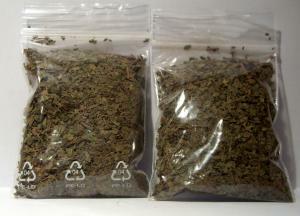 The bill would decriminalize the possession of up to three-quarters of an ounce of weed. The bill has already passed the House, but the House version decriminalized up to an ounce. Oregon Bill to Protect Workers Who Use Marijuana Dies. A bill that would have ended workplace marijuana drug testing has died in the Senate after backers conceded they did not have the votes to pass it. Senate Bill 301 would have required employers from testing workers for any drug that is legal in the state, as long as it was consumed outside of work hours and didn't interfere with the workers' duties. The bill was opposed by business groups. Vermont House Passes Legalization Bill, But… The House on Tuesday approved a bill to legalize the possession of up to an ounce of marijuana -- though not its sale -- but the bill is not expected to advance further this year. House Bill 170 passed on a 74-68 vote, but only after fending off attempts to send it back to committee and to weaken it. The bill also allows for the cultivation of two mature or four immature plants. The Senate has passed its own, more far-reaching legalization bill, which includes tax and regulate, but an amendment that would have brought the House bill in line with the Senate bill was defeated 42-99. The legislative session ends Saturday, and it is not expected that a compromise can be reached by then, but lawmakers can consider bills passed this session next year during the second half of the legislative biennium. Maine Bill Would Ban Kratom. A bill that would make kratom a controlled substance in the same schedule as cocaine, methamphetamine, and heroin has been filed in the state legislature. Senate Bill1546 was introduced last week and is now before the Joint Criminal Justice and Public Safety Committee. Colorado Lawmakers Back With New Asset Forfeiture Bill. Senate Republicans killed a civil asset forfeiture reform bill earlier this session, but now a bipartisan group of lawmakers are back with a new bill, House Bill 1313, which has been modified to address the concerns of law enforcement and prosecutors, who opposed the earlier bill. The new bill cuts in half the $100,000 threshold that barred local law enforcement from partnering with the feds in order to get the bulk of seized goods. It also imposes reporting requirements on seizures. The bill won preliminary approval in the House on Tuesday. Donald Trump Will NOT Name Tom Marino Drug Czar. According to news reports, President Donald Trump will not be nominating Rep. Tom Marino (R-PA) to be director of the Office of National Drug Control Policy (colloquially referred to as the "drug czar"). His nomination was opposed by the Drug Policy Alliance, which launched a campaign to prevent Marino from being nominated. Marino's nomination seemed all but certain just a few weeks ago but a flurry of news stories on his extremist views, like turning hospitals into prisons, and using his power as prosecutor to help his friends, no doubt put pressure on the administration to go in a different direction. NFL players want the league to ease up on weed, an Oregon bill seeks to declare a kratom "emergency" and study whether to ban it, the Israelis are funding medical marijuana research, and more. Oregon is the second state this year to see moves toward banning kratom at the statehouse. It's happening in Florida, too. NFL Players Association Will Propose Less Punitive Approach to Pot. The NFLPA is working on a proposal to change the league's drug policy to take a softer line on marijuana. The association will take the proposal its board of representatives first, and if the board approves it, on to the league. Currently, players are subject to fines or suspensions for using marijuana, whether recreationally or medicinally. Arkansas Governor Signs Medical Marijuana "Fix" Bills. Gov. Asa Hutchinson (R) signed into law two bills aimed at modifying the state's new, voter-approved medical marijuana law. House Bill 1026 will extend the deadline for rulemaking from 120 days to 180 days, and House Bill 1058 removes the requirement that doctors certify in writing that the help benefits of marijuana would outweigh the risks to the patient. Oregon Bill Would Declare Emergency, Study Whether to Ban Kratom. The state Senate Interim Committee on the Judiciary has filed a measure, Senate Bill 518, which would declare a kratom "emergency" in the state and direct the state Board of Pharmacy to conduct a study to see if the plant and its derivatives should be scheduled as a controlled substance under state law. The DEA is currently weighing a similar move on the federal level, but has run into stiff opposition from users and advocates. Maryland Governor Rolls Out Package to Fight Heroin. Gov. Larry Hogan (R) unveiled a package of proposals to deal with heroin and prescription opioid use in the state. He wants strict limits on doctors' ability to write prescriptions for opioids, stiff penalties for sellers of those drugs, and a new "command center" to coordinate the official response. In other states where such measures have been proposed, doctors have objected loudly to politicians placing legal limits on the care they provide. Democrats in the legislature are working on their own package of measures, but have released no details. New York Bill Would Require Drug Testing Children Whose Parents Get Arrested for Drugs. A bill named after an infant who died of a drug overdose would require hair follicle testing of children if their parent or guardian has been arrested on a drug charge. Kayleigh Mae's Law is not yet on the legislative website. Kayleigh Mae Cassell was found to have been given cocaine and heroin by her mother and live-in boyfriend, both of whom have pleaded guilty in her death. 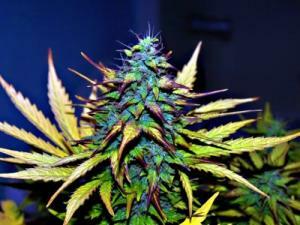 Israel Will Fund Research for Medical Marijuana Crops. The Ministry of Agriculture and Rural Development will fund medical marijuana research in what it says is a pioneering step to aid researchers in developing a new generation of medical marijuana products. The ministry and the Health Ministry have allocated $2.1 million US for the project. 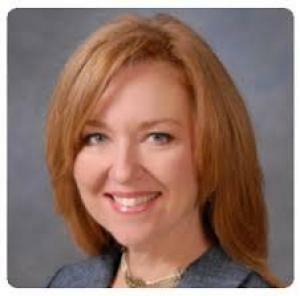 Florida state Rep. Kristin Jacobs (D-Coconut Creek) is a woman on a mission, albeit a strange and misinformed one. For the last three years, Jacobs has waged a lonely crusade in Tallahassee to ban kratom, the herb derived from a Southeast Asian tree and widely used for pain relief, withdrawal from opiates, and as a less harmful alternative to opiates. She's at it again this year, having just introduced a measure, House Bill 183, that would add mitragynine and hydroxymitragynine, the active constituents of kratom, to the state's controlled substances list. And she's invoking the specter of Hitler as she does so. Saying the kratom ban was a "fall on the sword issue" for her, Jacobs railed against the people who have opposed her prohibitionist efforts, accusing them of Goebbels-like propaganda. "They have a story," she told the St. Peters Blog. "Just like Hitler believed if you tell a lie over and over again, it becomes the truth." Portraying herself as a bravely challenging a "lie machine… a powerful lobby with lots of money," Jacobs warned against "Big Kratom." "It's not just what they're doing here," she said. "They're doing the same thing around the country." "They" would be the American Kratom Association and the Botanical Education Alliance. The former was founded by Susan Ash, a 46-year-old who began taking kratom while being treated for dependence on prescription pain relievers and now takes a small dose daily to ease chronic pain and depression. She was so impressed with the results, she founded the group in 2015 to represent kratom consumers. The group now has more than 2,000 members and lobbies against efforts to ban the drug. The latter is a small nonprofit organization "dedicated to educating consumers, lawmakers, law enforcement, and the media aboutstyl safe and therapeutic natural supplements including Mitragyna speciosa, also known as Kratom," the group says on its web page. "Our mission is to increase understanding in order to influence public policy and protect natural supplements. Our vision is to create a society where every adult has the right to access safe and effective natural supplements." According to the American Kratom Association, "Kratom is not a drug. Kratom is not an opiate. Kratom is not a synthetic substance. Naturally occurring Kratom is a safe herbal supplement that's more akin to tea and coffee than any other substances. Kratom behaves as a partial mu-opioid receptor agonist and is used for pain management, energy, even depression and anxiety that are so common among Americans. 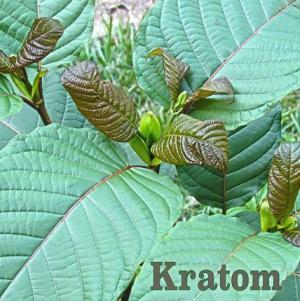 Kratom contains no opiates, but it does bind to the same receptor sites in the brain. Chocolate, coffee, exercise and even human breast milk hit these receptor sites in a similar fashion." Unsurprisingly, Jacobs disagrees. She calls the herb a "scourge on society" and says it "is an opiate," breezily lumping it in with heroin and pain pill mills. In Jacobs' dystopian vision, she foresees babies born with withdrawal symptoms, emergency room doctors treating strung-out kratom junkies in the throes of withdrawal, and "addicts with glassy eyes and shaky hands" lurking about until the dreaded kratom overdose gets them. "How many more are going to die?" she asks. Well, not many, actually. Like opiates, kratom relieves pain, slows bowel activity, produces euphoric feelings, and creates physical addiction and a withdrawal syndrome. But unlike opiates, it causes a pleasant, caffeine-type buzz in small doses and, more significantly, it is apparently very difficult -- if not impossible -- to overdose on it. The few deaths where kratom is implicated include poly-drug use, or as in a case reported by the New York Times, suicide by a young kratom user who was also being treated for depression. "Direct kratom overdoses from the life-threatening respiratory depression that usually occurs with opioid overdoses have not been reported," says Oliver Grundmann, clinical associate professor of medicinal chemistry at the University of Florida, told journalist Maia Szalavitz at Vice. Grundmann should know; he just reviewed the research on kratom for the International Journal of Legal Medicine. Szalavitz also consulted Mark Swogger, an assistant professor of psychiatry at the University of Rochester Medical Center, who with his colleagues analyzed 161 "experience reports" posted by kratom users on the drug information site Erowid.org for a recent study in the Journal of Psychoactive Drugs. "I think it's pretty safe to say that kratom has at least some addiction potential. The data is fairly strong on that and our study also found that people are reporting addiction," but "overall, we found that it's really mild compared to opioid addiction and it didn't seem to last as long." Jacobs' inflammatory and ill-founded comments generated a quick and strong reaction from kratom advocates. Kendra Jowers, who sits on the advisory board of the Botanical Education Alliance, didn't mince any words. "It's difficult to know how to respond to what Representative Jacobs said, because what she said was borderline lunatic," Jowers told the Florida Report. "And I think any sane, rational person could recognize it as such -- whether they have personal ties to kratom or not," she said. "When Representative Jacobs feels the need to compare an advocacy organization like the Botanical Education Alliance to the Third Reich, she's already lost the argument. She's already shown that she has no winning hand; that's why she resorts to such absurd and outrageously dishonest appeals to emotion and irrationality. We are a group of professionals from across the country who have volunteered our time to fight for people's right to use a natural supplement to curtail their pain and wean off of addiction to opioids and alcohol. To liken us to Hitler is reprehensible and entirely unprofessional," Jowers continued. "That is not to mention how abhorrent and obscene it was for her to trivialize one of the worst atrocities in human history." Jowers wasn't done. She also took umbrage at Jacobs' portrayal of kratom users as glassy-eyed addicts. "She may not have named names, but those were personal attacks. Because when she characterizes kratom users this way -- glassy-eyed, shaking, helpless addicts who aren't competent to understand what they're fighting for here -- she is personally attacking the tens of thousands of Floridians who use kratom to responsibly manage their health conditions," Jowers noted. "Kratom users are mothers, grandmothers, brothers, sisters, and notably, veterans suffering from PTSD, pain, and addiction that may have resulted from what they've endured in the course of their service to this country. I guarantee, you encounter kratom users all the time, and you would have no idea that they are using it unless they were to tell you -- contrary to Representative Jacobs' histrionic and inaccurate characterization," Jowers added. The American Kratom Association and the Botanical Education Alliance have led the charge against the DEA's move to federally ban kratom -- a pushback that resulted in the agency's unprecedented decision to delay or possibly even undo the proposed ban. And now they are leading the charge to push back against Rep. Jacobs and her war on the herb. A battle over safe injection sites looms in San Francisco, California could score a billion bucks a year in marijuana taxes, kratom gets massive support during the DEA's public comment period on its proposed ban, and more. Legal Marijuana Could Generate a Billion Dollars a Year in California Marijuana Taxes. State analysts estimate legal marijuana tax revenues could provide a $1 billion a year boost in state and local tax revenues. In anticipation of dollars to come, the state Board of Equalization Tuesday approved a proposal to fund staffing to administer the state's legalization bureaucracy, saying it needs $20 million by 2021 to support a staff of 114. Arkansas Regulators Release Draft Medical Marijuana Rules. The state Department of Health Wednesday released proposed draft rules for the voter-approved medical marijuana program. The rules include provisions about labeling, obtaining medical marijuana registry cards, lab testing requirements, and the process for adding new qualifying conditions. The department said it hopes to present the draft rules to the Board of Health next month and then open them to public comment. The department has not completed draft rules for regulation of and applications for dispensary and cultivation licenses. The state is supposed to be ready to license growers and sellers by June 1. Minnesota Will Allow Medical Marijuana For PTSD. The state Department of Health has decided to add post-traumatic stress disorder (PTSD) to the list of qualifying conditions for marijuana. It had been weighing requests to add PTSD, autism, arthritis, depression, and other conditions. "While the process of reviewing these potential additions was difficult due to the relative lack of published scientific evidence, PTSD presented the strongest case for potential benefits," Health Commissioner Dr. Ed Ehlinger said. "PTSD also has few effective treatment alternatives available for some patients with the condition," he added. The decision means that patients certified with PTSD will be eligible for medical cannabis starting August 2017. Kratom Comment Period is Over; Massive Response to DEA Ban Move. The time to comment on the DEA's proposed move to ban kratom has ended, but more than 22,000 comments came in before the deadline, overwhelmingly against restrictive scheduling of the Southeast Asian tree and the psychoactive chemicals it contains. Commenters noted its lack of lethality, its use as a pain reliever, and its utility in substituting for more dangerous opioids. Addiction specialist Dr. Jack Henningfield wrote a 127-page analysis that concluded that scheduling kratom "is not warranted from a public health perspective and is more likely to cause public health problems that do not presently exist." It should be regulated like a health supplement, Henningfield recommended. San Francisco Health Chief Supports Safe Injection Sites. Barbara Garcia, director of the city's Department of Public Health, strongly endorsed safe injection sites, she told the Board of Supervisors Wednesday. "I think if we were going to open one, it would be very successful," she told the supes, but added that the city needed a half-dozen to make a real difference. That puts her at odds with Mayor Ed Lee, who has come out strongly against the harm reduction measure. Donald Trump has nominated a harsh drug warrior to head the Justice Department, Montanans will see a slew of bills aiming at making their medical marijuana system more workable (and at least one that wants to kill it), the Global Commission on Drugs called for drug decriminalization, and more. "Good people don't use marijuana," says Trump's attorney general pick, Alabama Sen. Jeff Sessions. Trump's Pick of Jeff Sessions as AG Raises Fears in Marijuana Industry. 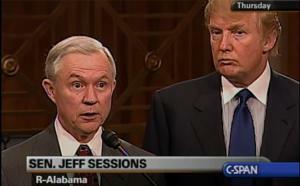 President-elect Donald Trump (R) has nominated anti-marijuana Alabama Republican Sen. Jeff Sessions to head the Justice Department, setting off alarms in the marijuana industry. As attorney general, Sessions would oversee federal prosecutors and the DEA and could move to undo the Obama administration's policy of largely allowing the states to set their own course on pot policy. Colorado Bureaucrats Nix On-Site Pot Consumption for Bars. Just a week after voters in Denver approved a social use initiative allowing restaurants and bars to seek permits to allow on-site consumption of marijuana, the Department of Public Health and Environment has announced that it will not allow liquor license-holders to obtain such permits. The department said using alcohol and marijuana together increases impairment. But proponents of the measure said alcohol establishments already rely on the judgment of servers and that the move would allow consumers to use marijuana products without having to go outside or hide behind closed doors. Arizona Dispensary Operator Eyes 2018 Expansion Initiative. The owners of the Wellness Center, an Apache Junction dispensary, are moving toward an initiative to expand the state's medical marijuana program. The move comes a week after a legalization initiative was narrowly defeated. The initiative would expand the list of qualifying conditions for marijuana and it would allow people who live more than a mile from a dispensary to grow their own. The current law bars people who live within 25 miles of a dispensary from growing their own. After Initiative Victory, Medical Marijuana Bills Pile Up in Montana. Montanans voted last week to restore their state's medical marijuana system, which had been gutted by the Republican legislature in 2011, and now the legislature faces at least 10 bills designed either to make the system more workable or to try to thwart the will of the voters once again. It's going to be a busy session in Helena. Kentucky Legislator Files Bill to Limit First-Time Opioid Prescribing. State Rep. Jeff Taylor (D-Hopkinsville) has prefiled a bill, BR 202, that would limit first-time adult prescriptions for non-chronic pain relief to a seven-day supply. The bill does include an exception that would allow a doctor to prescribe a longer supply if deemed medically necessary. Still Ten Days Left to Comment on Proposed Kratom Ban. Anyone who wants to commit on the DEA's plan to schedule kratom has until December 1 to do so. Click on the link for more information. New Report Calls on UK to Legalize Marijuana. A new report from the Adam Smith Institute says that Great Britain's drug strategy "has failed in its core aims to prevent people from using drugs, manufacturing drugs, and to put a stop to the crime, corruption and death that is taking place on an industrial scale around the world," and calls on the government to legalize marijuana. The report is winning support from a cross-party parliamentary group that includes former deputy prime minister Nick Clegg. Global Commission on Drugs Calls for Global Drug Decriminalization. In its annual report, the Global Commission on Drugs has called for an end to criminal and civil penalties for drug possession and more research into alternative regulatory models. The report comes months after the commission sharply criticized the United Nations' refusal to embrace more radical drug reforms at its UNGASS on Drugs last spring. Commission member Richard Branson called the UN's status quo approach "fatally flawed" at the time. The Pope says nope to dope, an Arizona poll has the marijuana legalization initiative trailing, big bucks are flowing in the Florida medical marijuana battle, and more. Arizona Poll Has Legalization Initiative Trailing. For the second time in as many months, a poll from OH Predictive Insights has the Prop 205 legalization initiative losing. An end of August poll from the group had 40% in favor and 51% opposed, while a new end of September poll had 43% in favor and 47% opposed. Other recent polls have the initiative faring better, such as an August Arizona Republic poll that had it at 50%, with 40% opposed. Poll Finds New Mexicans Ready to Legalize It. An Albuquerque Journal poll released over the weekend has support for generic marijuana legalization at 61%. If respondents over 65 are excluded, that number jumps to a whopping 82%. Florida Initiative Battle Seeing Huge Cash Flows. Las Vegas casino magnate Sheldon Adelson kicked in another $500,000 in the last week of September to help defeat the Amendment 2 medical marijuana initiative. That brings Adelson's total for the campaign to $1.5 million. He kicked in $5.5 million to defeat a similar proposal in 2014. All told, the opposition raised $560,000 in the last week of September. Meanwhile, Amendment 2 backers took in $1.07 million in the same period, all but $7,000 from the New Approach PAC. Florida attorney John Morgan has also kicked in $2.3 million of his own money. The no side spent more than $700,000 last week, mainly on TV ads, while the yes side spent $326,000. paralegals and law students to form a voluntary working group to assist us and support our fight for the long term. A group to help, with the legal arguments our lawyers have already presented, to take this all the way to the SUPREME COURT if we have to!!! If you have these skills, are you willing to help us make history? If so, please email Robin Graham at [email protected]. Please be prepared to submit a resume and sign a non-disclosure agreement. Please feel free to share this email with anyone that may be able to help us in this fight." Vatican Reiterates Opposition to Drug Legalization. In a speech last Thursday, the Vatican reaffirmed its opposition to legalizing drug use as a means of fighting addiction. "The Holy See believes that the fight against the drug problem must be guided by the fundamental principles of respect for human dignity, of the primacy of prevention, and of the role of the family as a bulwark for both drug prevention and addiction treatment," Archbishop Bernardito Auza said. But not drug legalization: "My delegation wishes to reaffirm the Holy See's opposition to legalizing drug use as a means to fight drug addiction. As Pope Francis stated in his June 2014 address to the International Drug Enforcement Conference in Rome, 'The fight against drugs cannot be won with drugs. 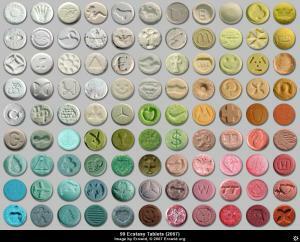 Drugs are an evil, and with evil there can be neither surrender nor compromise.'"